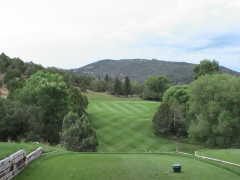 9 hole course. Fun to play with difficult putting. Locals call it "The Hill"